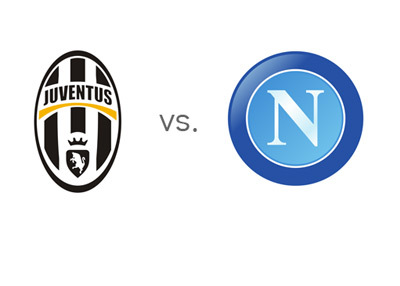 Last year's champions, Juventus, are hosts to last year's runners up, Napoli, in the twelfth round of Italian Serie A on Sunday, November 10th, 2013 at the Juventus Stadium in Turin. Both teams have twenty eight points so far this season, three less than the surprise league leaders AS Roma. This is a big game in Italian football. Some go as far as calling it a final. Juventus played well in their UCL clash with Real Madrid on Tuesday which ended in a 2-2 draw. Before that, Juve won three straight games in the league without conceding a goal. Napoli most recently beat Marseille 3-2 in the champions league after beating Catania at home 2-1 and Fiorentina 1-2 away. Both teams are in good form at the moment and both teams are racing for the title. Juventus are getting their goals this year from Tevez, Vidal and Pogba, while Napoli, who have had their all time best start to the season, are getting theirs from Hamsik, Callejon and Higuain. Juventus are the favourites. A 100 € bet on the Old Lady could return 72 € in profit. The same bet on Napoli could return 375 € in profit. The most likely score, according to the odds is a 1-1 draw, offered at 6/1. Fernando Llorente, who has scored one goal in eight domestic games so far this season, is the favourite to score for Juve at 6/4. Gonzalo Higuain is the favourite to score for Napoli at 2/1. Juventus won the title in the last two Serie A seasons. First year they won it undefeated and second year they won it by nine points clear. At the bookies, Juve are 10/11 favourites to win again this year. AS Roma are valued 2/1 and Napoli are at 4/1. It will be interesting to see how things play out on Sunday.